There are two enormous challenges today that seem unrelated and yet perhaps can be directly connected through a more profound consideration of the impact of technology on society: the rise of consumption culture and the demise of causality in our thinking, specifically with reference to the impact of our actions on the environment. The Asia Institute seminar on the noble fight against desertification was a wake-call for all of us. I must admit that although I was pleased by the enthusiasm of the participants, I was shocked that we did not have a larger crowd. After all, the spread of deserts in China is perhaps the most serious challenge facing East Asia today and is a crisis that calls for a global solution. Yet attendance was less than for our seminar on nuclear power in North Korea—an important topic, but not anywhere as significant. 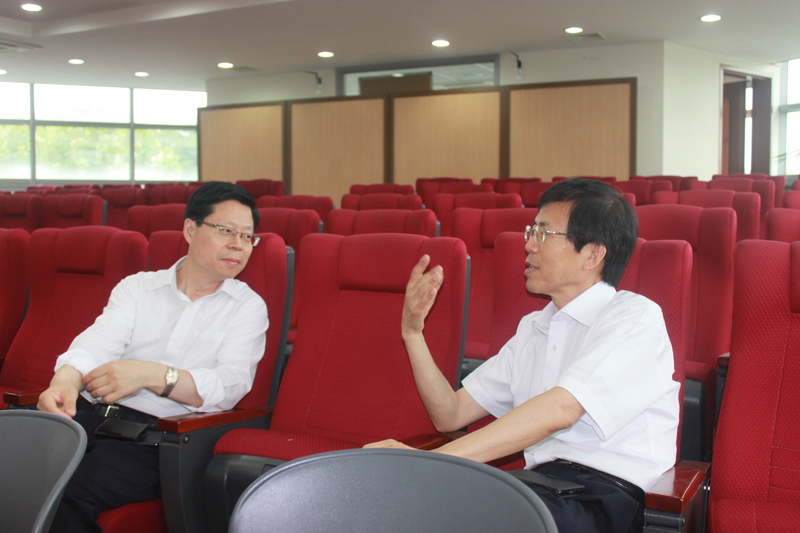 Kwak Sang-soo of Korea Research Institute for Bioscience and Biotechnology talks with David Seol, advisor to Asia Institute for external relations. The United States became the major cultural force in the world during the 1950s and 1960s, putting forth through its media and its cultural institutions an image of a better life in a free society. The United States offered a powerful vision of a society wherein the individual could realize his or her dreams without the terrible institutional and cultural limits that hold back so many. That image of a good life in the United States was known as the “American Dream.” The American Dream was accompanied by significant intellectual and ethical content such as democratic process, social responsibility, the rule of law and excellence in scholarship and the arts that inspired the world to strive for something greater. A leading figure in speech recognition technology with a focus on Asia, Professor Mark Hasegawa-Johnson visited Seoul for a series of meetings arranged by the Asia Institute. Professor Hasegawa-Johnson works at the Beckmann Institute at University of Illinois, Urbana-Champaign. 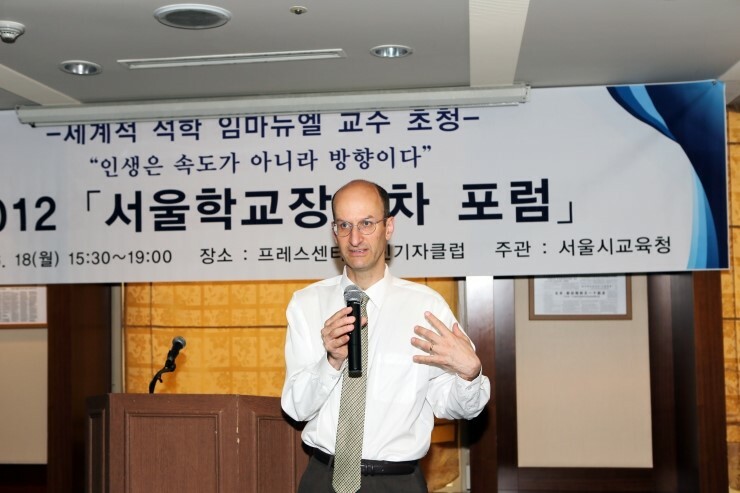 I gave a talk about education and culture on June 17, 2012 in front of a group of about one hundred principals of elementary and high schools in Seoul organized by the Seoul Metropolitan Office of Education (서울시교육청). 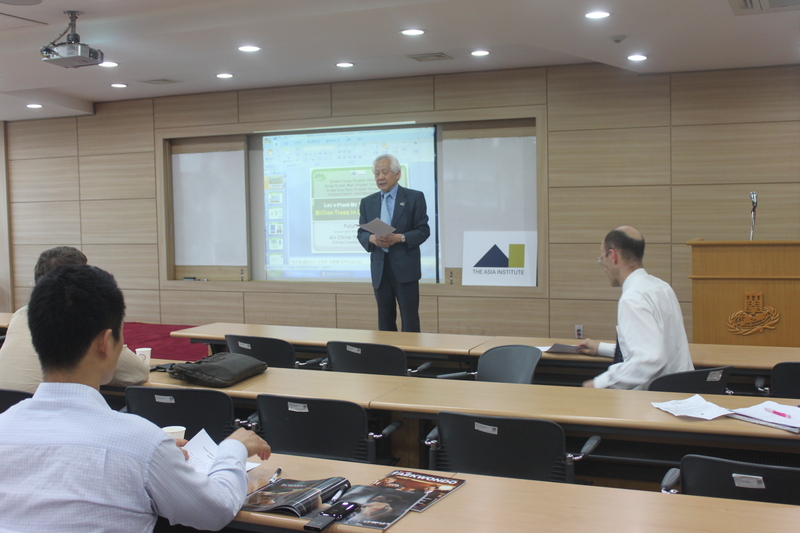 This “Principals Forum” was the first of its kind, a voluntary gathering of principals from around Seoul to exchange opinions on how education can be improved in Korea. 올해 들어 KAIST 학생의 4번째 자살 소식은 다시금 한국 교육시스템에 근본적인 문제가 있다는 것을 드러냈다. 이는 단순히 시험과정이나 학생들이 소화해야 하는 엄청난 교과 학습량의 문제가 아니다.